I've seen a lot of movies over the last couple of weeks, so I thought I'd tell you about them really quick-like. I mentioned this one a bit already, but am listing it again here. This is the second of the recently remade movies following the adventures of Holmes and Watson. You don't have to have seen the first one for this one to make sense, because it doesn't make much sense anyway. But who cares because the cheekiness, the special effects, the music, the locations... everything makes up for the confusion in the plot. I totally enjoyed it! This one is based on the true story of a guy who, after his wife died, decided he needed to move away from all his memories of her. Besides, his teenage son was acting out at school and needed a move too. The family ended up falling in love with a country house that came with.... a zoo. They decided "why not?" and went for it. It's the story of how they make through those hardships, how they grieve the death of their mom/wife, and how they come together as a family. It's wonderful. It made me cry and laugh both. It's awesome to see Matt Damon in a "normal" non-action role. He was awesome. I loved it. This movie follows the story of horse and how he bonded with his country Irish boy owner, but then was sold to the English cavalry to fight in WWI. The boy is devastated and vows to find him again. The horse goes off on his adventure, passing through many hands (including the enemy Germans) before ending back up with the English again. It's a beautiful movie all around. Except for the war scenes which are extremely realistic and awful (but good, if you know what I mean.) Another wonderful movie that I loved. I was a bit leery of this one, worried that it was one of those silly romantic comedies, with really not much comedy involved... and way too much "leave nothing to your imagination" romance. You know the ones? But it was raved so much about in EW and other "reliable" places that I wanted to see what I thought. Well, okay, so it had moments like that, but it did delve into the deepness that is a marriage relationship after 25 years. So I liked that it made us think about that a bit. There were some pretty funny moments too, and there was a twist at the end that I did not see coming. There was also a thing at the end that made me VERY mad and I couldn't believe the writers/producers left that in (the envelope with pictures if you seen it.) But, as you may or may not know, Josh Groban and a small bitty part in this movie, so of course I had to see it just for that reason and it was totally fun! Nerdy to the core. Sadly, he didn't sing. Oh, well. Anyway, I give this one a fair recommendation. It was okay. This was a re-watch for me, but I got it because I loved it enough to see it again, and besides the boys in our house hadn't seen it and I knew they would enjoy it, so we made them watch it! Anyway, yes, I love this one. It's about a bunch of kids who while filming their zombie movie they hope to enter in a contest, witness a train wreck that sets into motion some very creepy and strange goings on in the town. It's also about the relationship of a kid and his dad after the death of their mom (much like We Bought a Zoo.. hmmm... popular theme I guess!) The kids in it are amazing actors. The special effects blew me away and the whole nostalgic feel is a blast. My only complaint with this one is all the swearing these kids do. Sheesh. This is the movie that tells you how the Xmen began... how Magneto and Professor X were friends, then enemies. How Mystic came to be and a few of the other famous X-Men and their beginnings. This is also how the X-Men, for their first gig, stopped the Cuban Missile Crisis from happening. It's a lot of fun and worth renting to watch again. Hey, and we got a Blu-ray player for Christmas, but we can't really tell any difference yet. These movies we rented from Redbox were Blu-ray, but...hmmm... I don't know. What have you seen lately that was absolutely fabulous? I just read WAR HORSE last night. Cried and cried. So sweet and sad. I must see the movie now. Sherlock and Super 8, both fun. haven't seen the others, except Crazy, Stupid and I actually thought of you and Deanna when I saw Josh Groban. I've seen Sherlock, X-Men, Super 8 and Crazy... I liked them all and agree with what you said. Crazy... was hilarious! And, I also didn't see the twist and I was also upset about the pictures at the end. I have no desire to see Sherlock Holmes but I DO want to see War Horse. 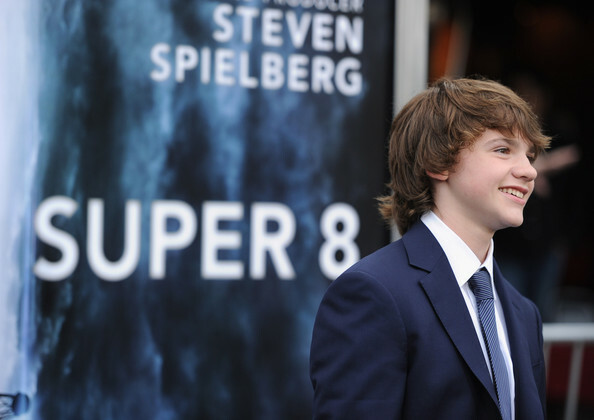 I loved Super 8 and X-men. I want to see War Horse and We Bought a Zoo. Didn't know War Horse was a book, too- will have to look for that now! We saw Hugo and loved it! I was taken aback by the story. You would have thought that this teacher would have read it by now, but I hadn't. Beautifully filmed too! Can you spell Martin Scorcese?!?! (Did I?) We also saw Mission Impossible (29 by now, isn't it.) Whatever, we enjoyed it as well. We also saw Sherlock Holmes and I give a big thumbs up to the holiday movies this year. MMMMmmm...I'm thinking popcorn for dinner. So, I tried watching the first Sherlock Holmes and I just could not do it. I was bored silly, and actually fell asleep. Doubt I will attempt any more viewing which is a shame because I do like Robert Downey Jr.
War Horse - I will see this one. I have been hearing great things about it from a variety of people. The only trouble is...I can read war/battle scenes with no problems but I cannot view them at all...very difficult for me. We Bought a Zoo - this, I have come to believe, is a must watch for us when on DVD. Crazy Stupid Love...him, even with an appearance by Josh, I am not certain this one is for me. I will think on it. We do not go to the theater...too costly for us. But, we will be seeing Beauty and the Beast in 3D because my sister bought a movie ticket for Grace. I am not a huge fan of 3D so I hope I will not be disappointed too much. Brave is another movie we will see in the theater when it comes out.